I am compelled to write a review of this IMAX feature as a means of warning others to SAVE YOUR MONEY. Almost any episode of Desmond Morris' "The Human Animal" or David Suzuki's "The Nature of Things" could have bested the material presented. Not only does the director fail to make use of IMAX's incredible 65 to 70 mm film stock and gigantic presentation screen, everything on screen is extremely unimpressive given the accessibility of such programming mentioned previously. Viewers are introduced to a pregnant Heather, her husband Buster, and their niece and nephew. We follow them for an interminable forty-odd minutes as they eat, sweat, listen to music, etc. 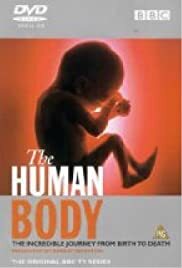 Although we are given access to scenes inside the human digestive track and learn about babies' natural diving reflexes, do we really learn anything more than most grade-school graduates? Are we even remotely entertained by the trans-Atlantic Heather? Do we care? Avoid this film at all cost. If you do wish to see an IMAX feature, I suggest the beautifully photographed "India: Kingdom of the Tiger" or the technically thrilling "Space Station 3D". Trust me.